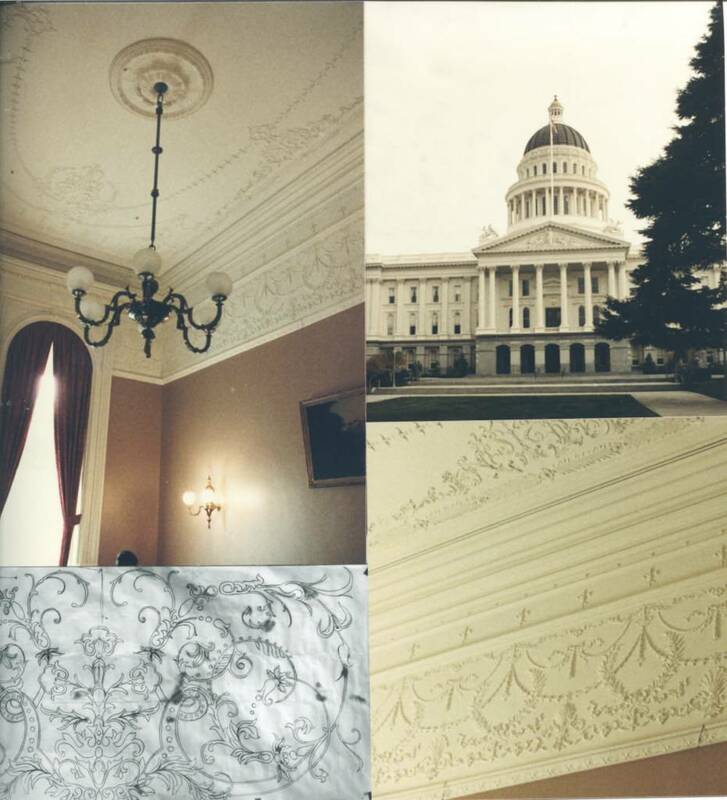 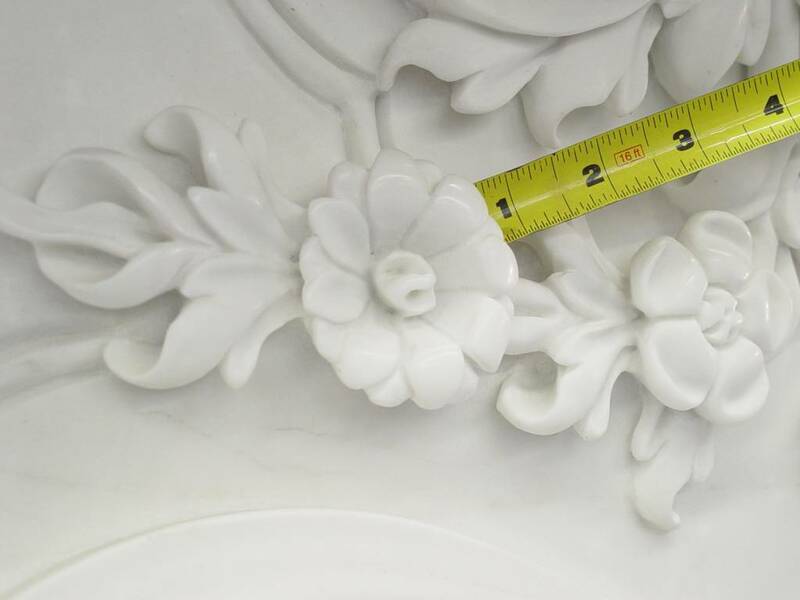 ONLY TRADITIONAL HANDCRAFTED ARCHITECTURAL DETAILING: ~ Only the hand of a skilled craftsman can create deep undercuts to give a life-like appearance to delicate details . 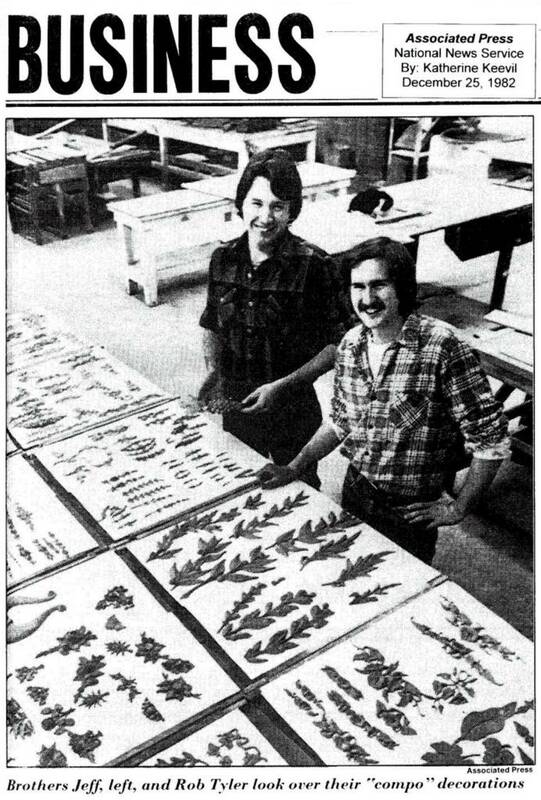 . . where each flower is suspended on a stem, opened like an umbrella (NEVER with un-natural straight sidewalls, like that of a cup, common to mass-produced products made from molds). 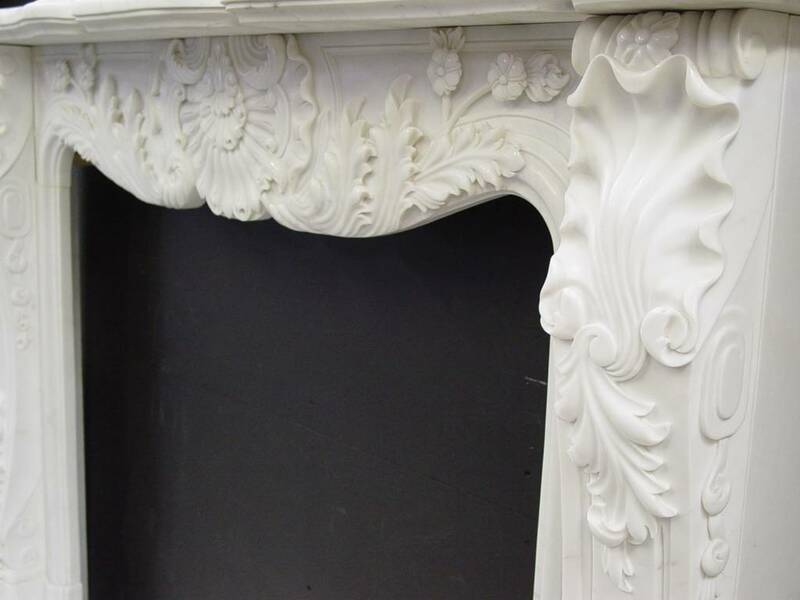 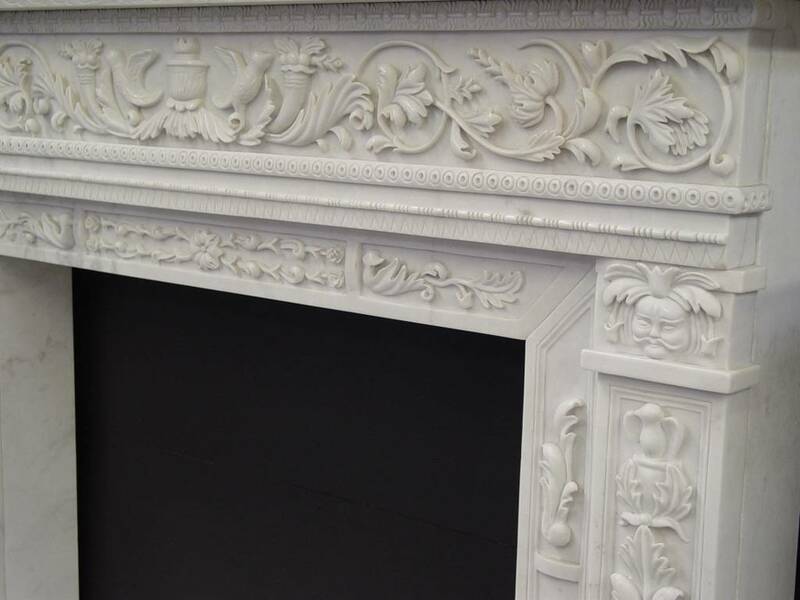 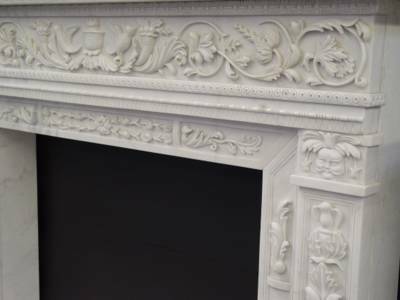 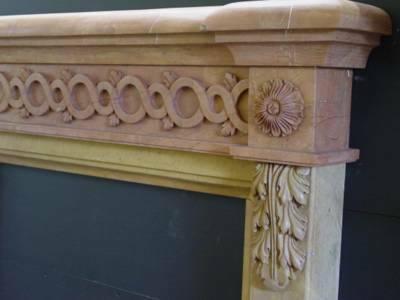 Close up detail from LOUIS XVI Pattern 39520 - Ornate Fireplace Mantel in hand carved White Stauary Marble. 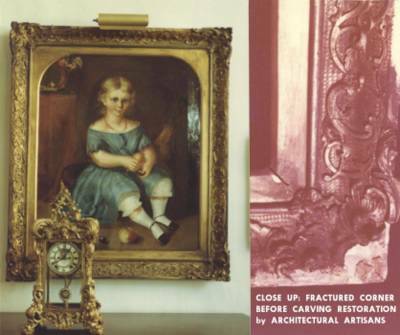 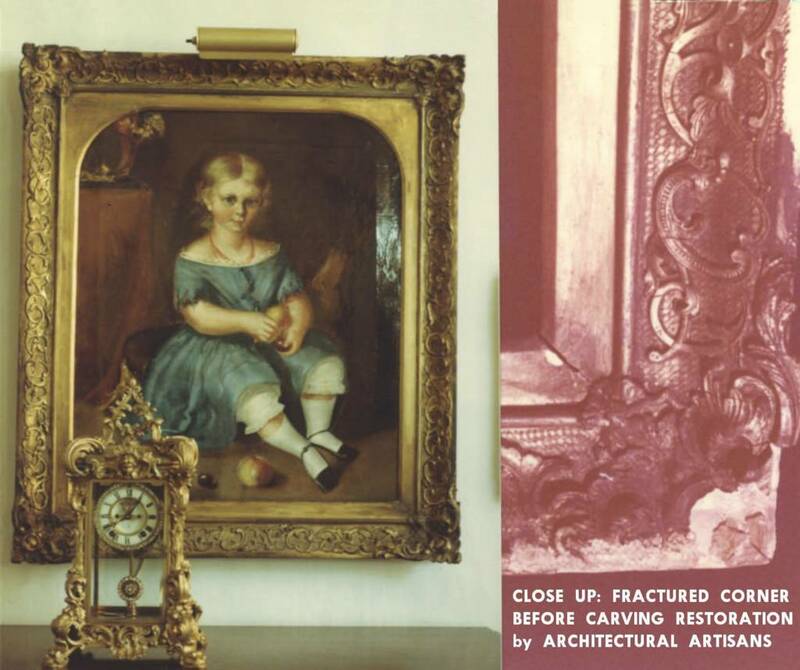 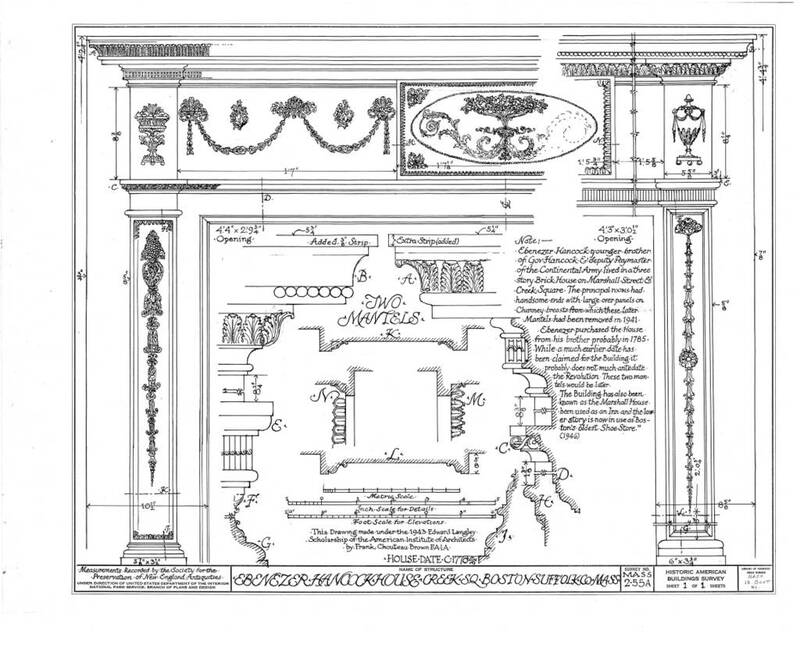 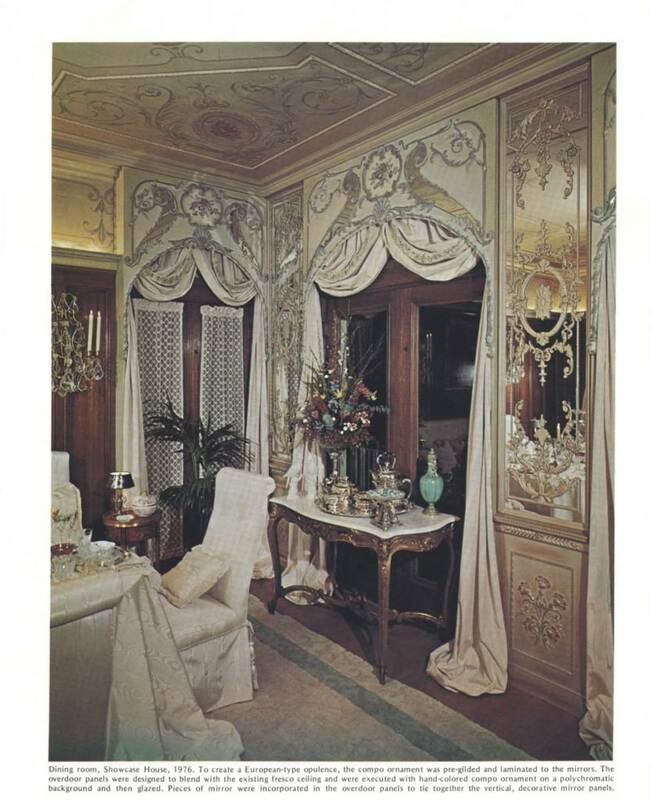 From an historic drawing (like this one), an antique photo, or just a sketch, our studio can produce fine quality, carved works to create unique Residential, Commercial & Historical interiors: Fireplace Mantels ~ Ceiling Rosettes ~ Columns ~ Corbels ~ Pilasters ~ Carved Mouldings and other ornate architectural elements . . . built as needed for each client. 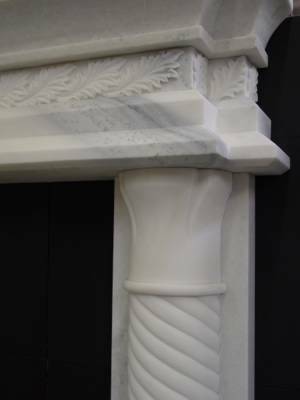 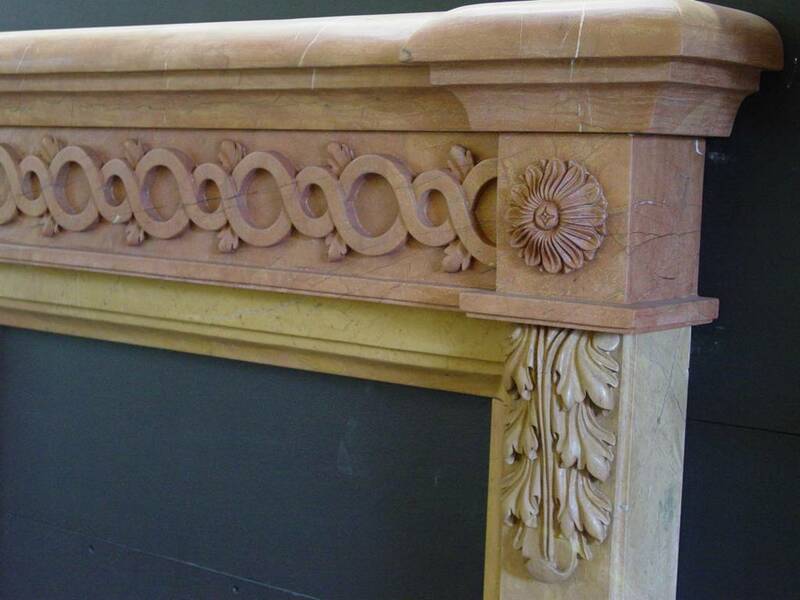 1999 - GOTHIC Pattern 02420 - Ornate Fireplace Mantel in hand carved Yellow Lines Marble. 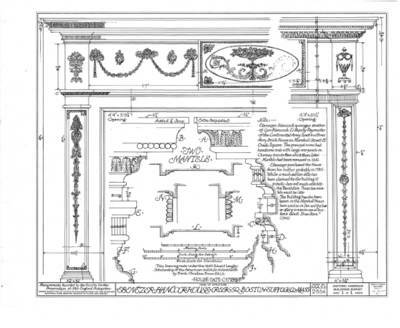 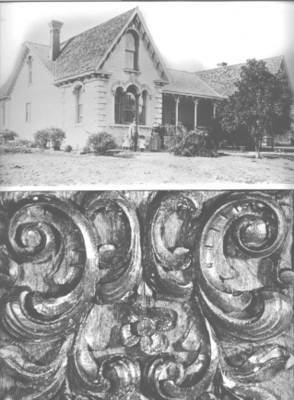 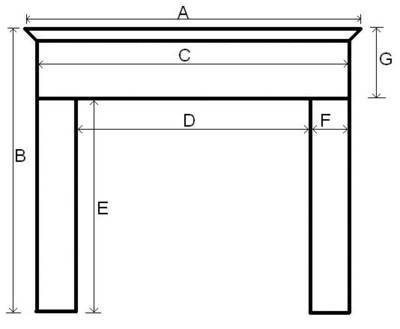 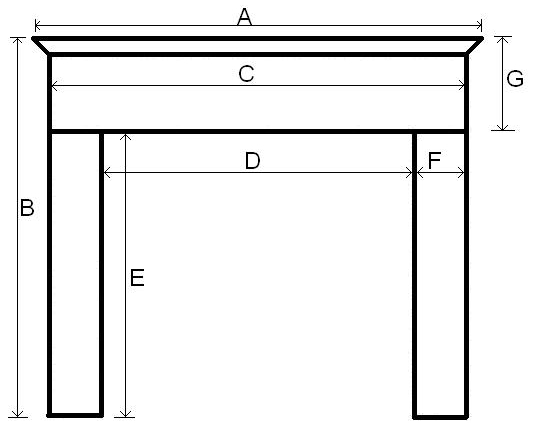 71"W x 51"H x 10"D, Firebox = 41"W x 34"H. (Gothic Revival architecture came to America from England about 1830 to mock Gothic style as a romantic fantasy that implied ancient lineage). 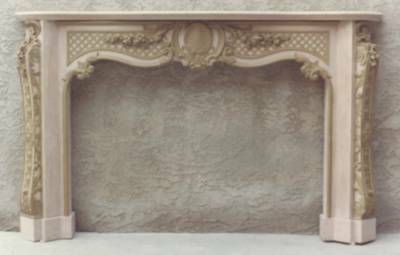 1984 - BAROQUE STYLE - hand made carvings on a birch Traditional Fireplace Mantel custom made for the lavish suites at the Golden Nugget Casino Hotel, Las Vegas, Nevada.